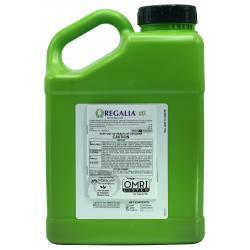 Grandevo® is a microbial-based insecticide. 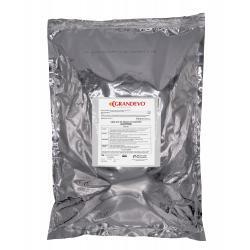 Grandevo® contains several active compounds that repel, stop feeding, reduce reproduction and induce mortality to prevent the development of damaging populations of sucking and chewing insects, flies and mites. 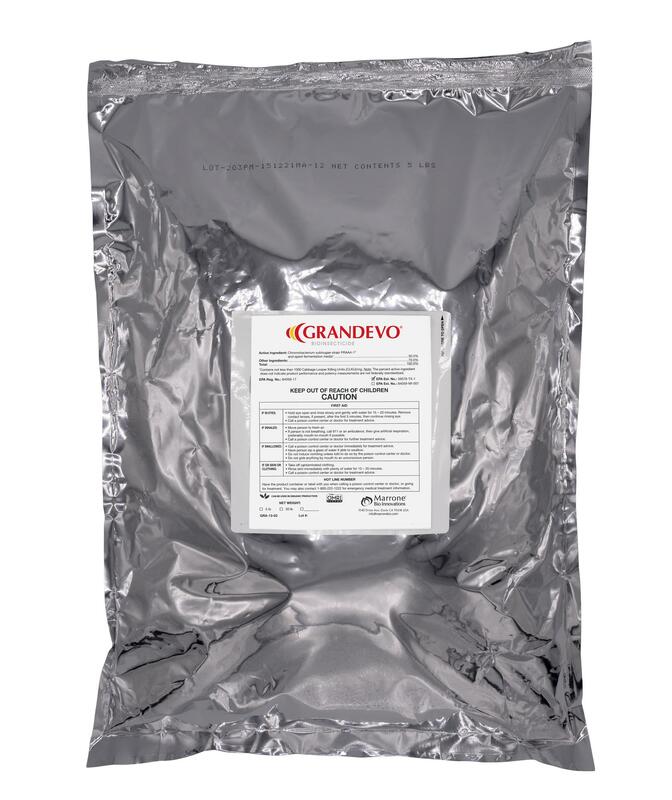 Grandevo® can be used on a wide range of organic and conventional crops, including fruits, vegetables, nuts and turf and ornamentals. 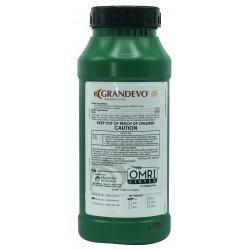 Grandevo® is best used early when adult populations of pests move into a field when caught early. 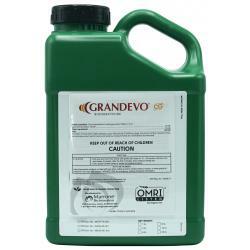 Grandevo® may be used as a stand-alone product, just before harvest to manage residues, and in rotation with other insecticides as part of an integrated pest management program.